Subsequent to an unsuccessful bond measure in 2008, the City of Canby and Canby Urban Renewal Agency hired Mackenzie to develop a new needs assessment for the City Police Department. 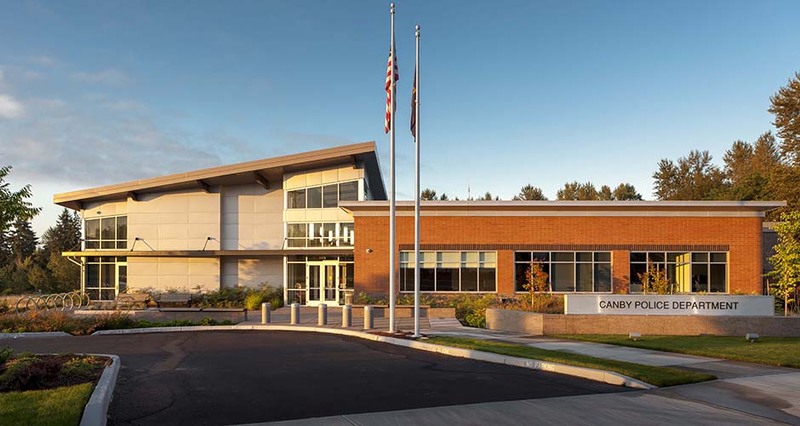 The bond measure failed primarily due to project construction cost and the declining economy; the team set out to work with Canby Police and the Agency to reevaluate program needs and reduce the size and cost of the project. 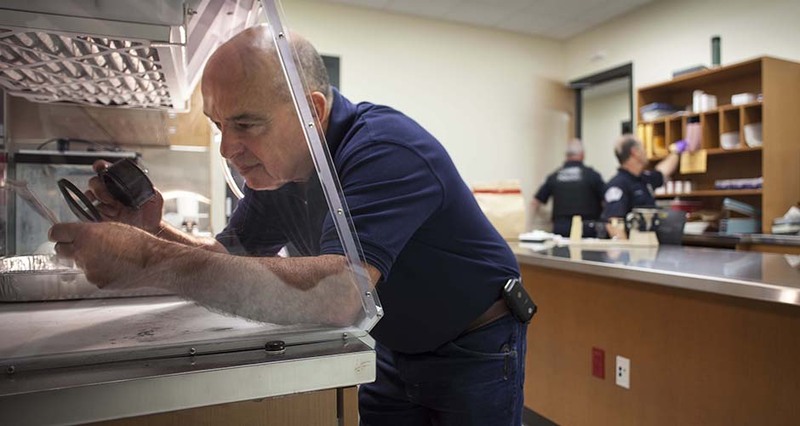 The goal was to develop a program that met the Police Department’s current and future needs (with expansion capabilities, but excluding the program elements of courts and training and firing range included in the previous study). 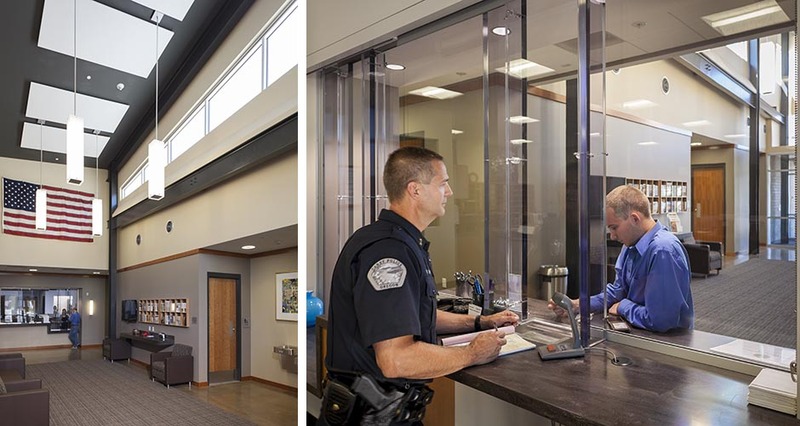 Our services included reviewing past studies completed for the City Police department, development of a new program, facilitating tours of similar police facilities with key staff, working with other designers for integrating the police and transit facility into a unified master plan, development of a conceptual floor plan and building massing, development of a project schedule, and forecasting of project costs. 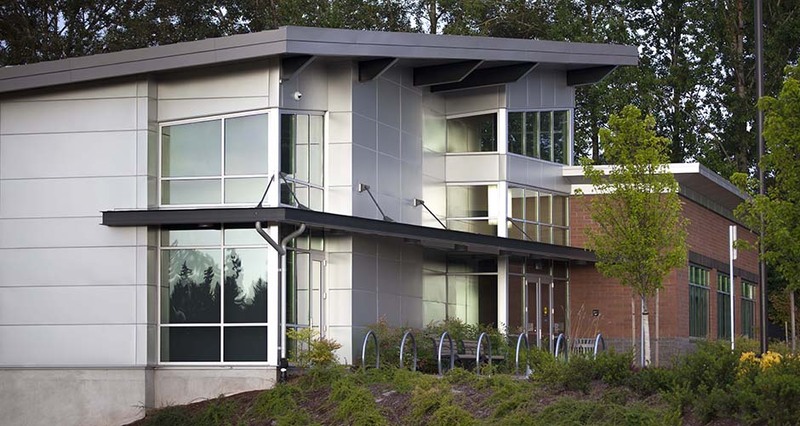 Mackenzie subsequently provided design through construction administration services for the $7.7 million, fast-track project delivered via a CM/GC process. 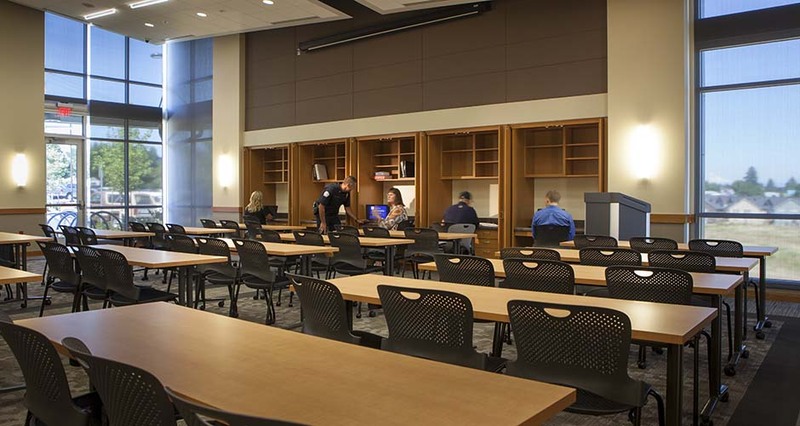 The building program includes evidence and records storage, facilities for male and female officers, holding cells, a multipurpose community room, a fitness center, and covered parking for patrol vehicles. The exterior features a masonry skin, an inviting glass entry, and a sawtooth roof. Sustainable features include a 20-kilowatt solar array, as well as an energy-efficient HVAC system. The sloping site required a number of both cast-in-place and block retaining walls used at the secure parking area. Mackenzie’s initially contracted scope of work included pre-design, programming, conceptual design, and cost estimation services. Following funding and project approval by the Urban Renewal Agency, Mackenzie was selected to carry the project through design and construction.